What are the benefits of becoming a Villa Preferred Access Member? If you are interested in becoming a Villa Preferred Access member, here is the perfect article for you regarding all the benefits you can expect, with an explanation about what Villa Preferred Access is. This is the name given to the club points timeshare program offered at Villa del Palmar resorts for vacation ownership. The Villa Preferred Access program is offered to new timeshare buyers as well as to current owners who bought their original timeshare under a fixed week program and wish to upgrade. The Villa Preferred Access program operates on a points based system. This means that you are not restricted to specific weeks in a certain resort or in a fixed unit. Instead you can choose where and when to spend your vacations, even how long you wish to stay. You have preference over reservations in your home resort but other than that you can stay in any of the Villa del Palmar resorts, so long as you have the points to cover your stay. This scheme is highly flexible and aims to put members first by giving them full control! Flexibility is certainly one of the main benefits of becoming a Villa Preferred Access member. What are the additional benefits of becoming a Villa Preferred Access member? 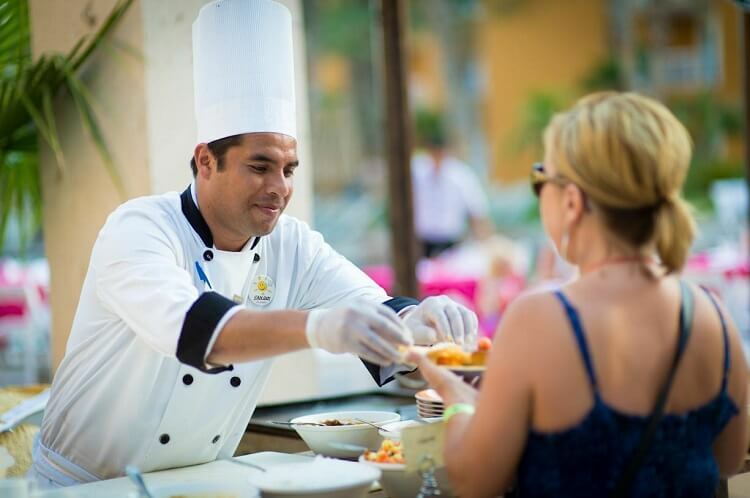 When you purchase any Villa del Palmar timeshare membership you can, first and foremost, feel secure in the knowledge that you are buying from one of the most trusted vacation accommodation providers in Mexico. With thirty years experience and a gleaming reputation, Villa del Palmar by Villa Group offer the very best to its Vill Preferred Access members. This means that you can opt to stay in any Villa del Palmar resort, including those in the Islands of Loreto, Cancun, Baja California, Puerto Vallarta and Nuevo Vallarta. Likewise, the accommodation on offer at these resorts will only be of the very highest standard; those accustomed to luxury won’t be disappointed by either the suites or the facilities. Beach bars, pools, gourmet restaurants and beach activities will be in plentiful supply no matter where you go! If you find yourself unable to visit in any particular year then have no fear, you will not lose out at all; Villa del Palmar and Villa Preferred Access scheme allow you to bank unused points for future use. In fact, if a special occasion creeps up on you, you can even borrow points and pay them back over time! Villa del Palmar’s Villa Preferred Access program is a great opportunity for those who want a vacation home without all the hassle and responsibility! ← What is the Villa del Palmar Timeshare Cooling Off Period?